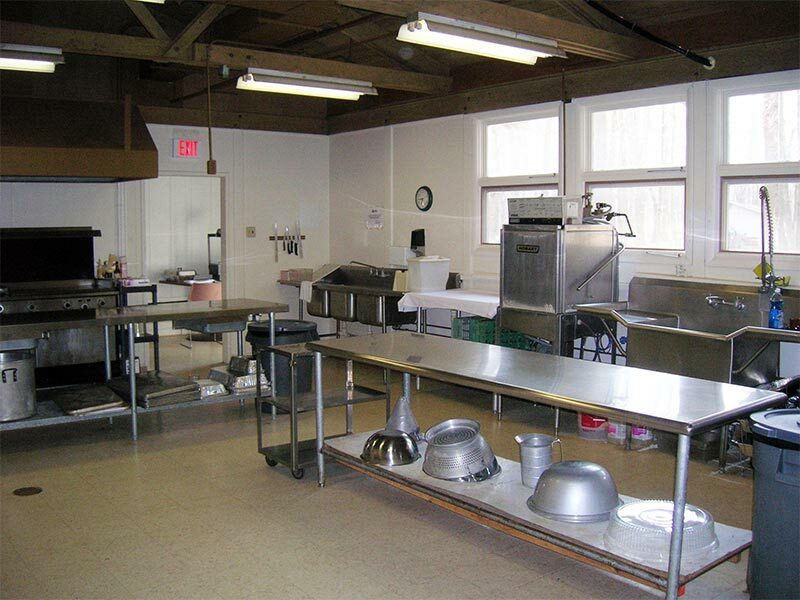 Cross Keys Inn is a full service dining hall/meeting facility for up to 80 people. Air conditioned to keep you cool in the summer, Cross Keys Inn also has a rustic stone fireplace to keep you warm in the winter. This facility is excellent for large group meetings and has a fully-equipped industrial kitchen, which can be rented for a flat fee of $100. 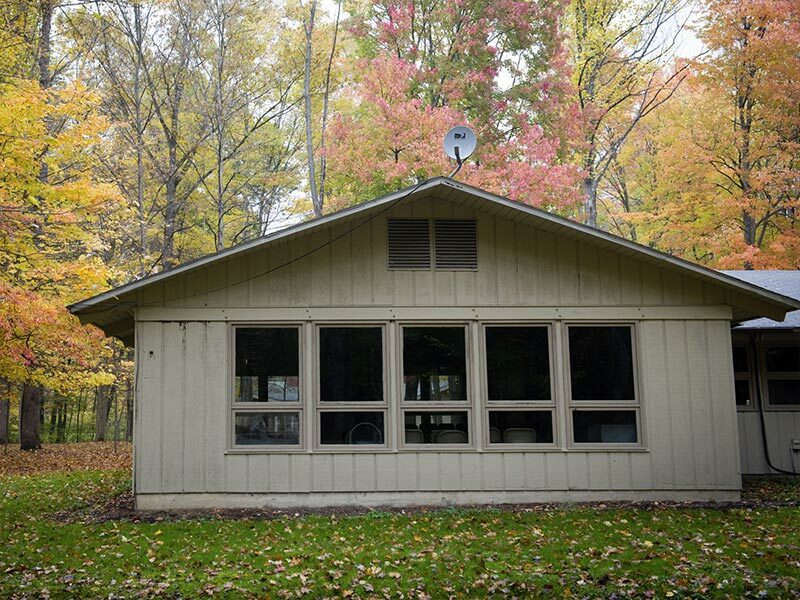 Cross Keys Inn is located close to Agape Lodge, Ryan Cottage, and the Griffith Cabins and has convenient parking nearby. 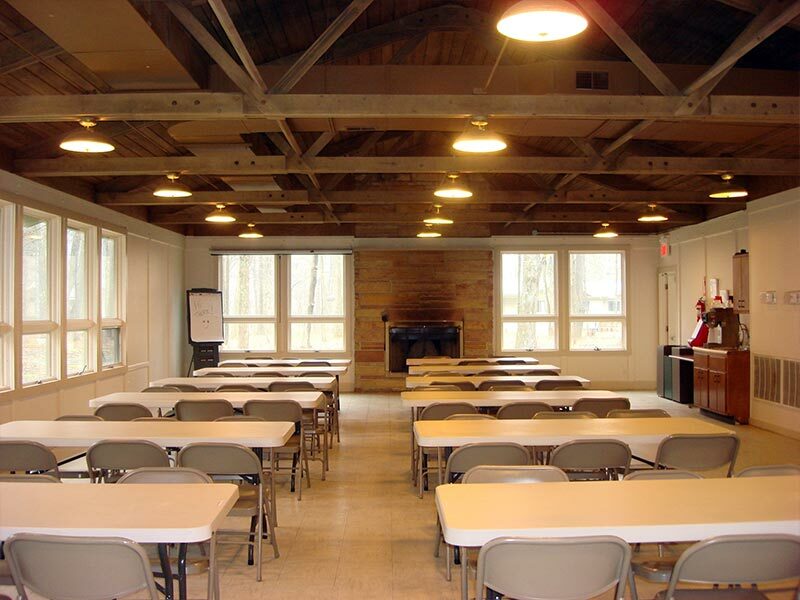 The facility does not have built-in AV or Wi-fi options, but ask your group coordinator about rental options. Rate: $210 per day. Kitchen rental is $100.